Address: 308 Kamehameha Ave., Hilo. Kamehameha runs along the water across downtown. Just drive until you reach the classic buildings. It is near the middle. 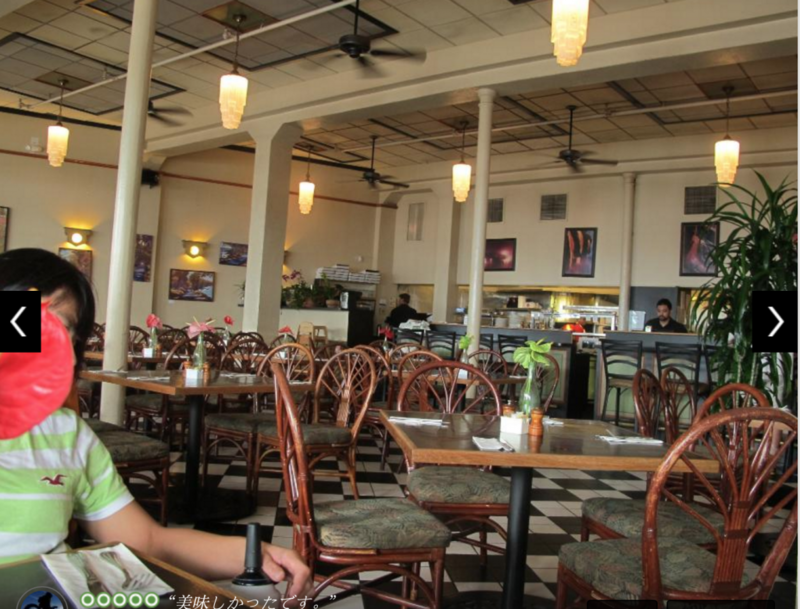 There are only a few “great” restaurants in the Hilo area. This is one of the few. The restaurant doesn’t have a view, which is a shame, but it is a great reason to check out the eclectic shops and notice the great architecture of the old Hilo downtown buildings. You shouldn’t visit Hilo and not spend some time “downtown.” You will not find a preserved group of buildings that take you back to the early 1900s anywhere else in Hawaii. These buildings have survived time, tsunamis and depression. The restaurant feels like a re-creation of what fine dining must have looked like in the heyday of when these beautiful buildings were built. 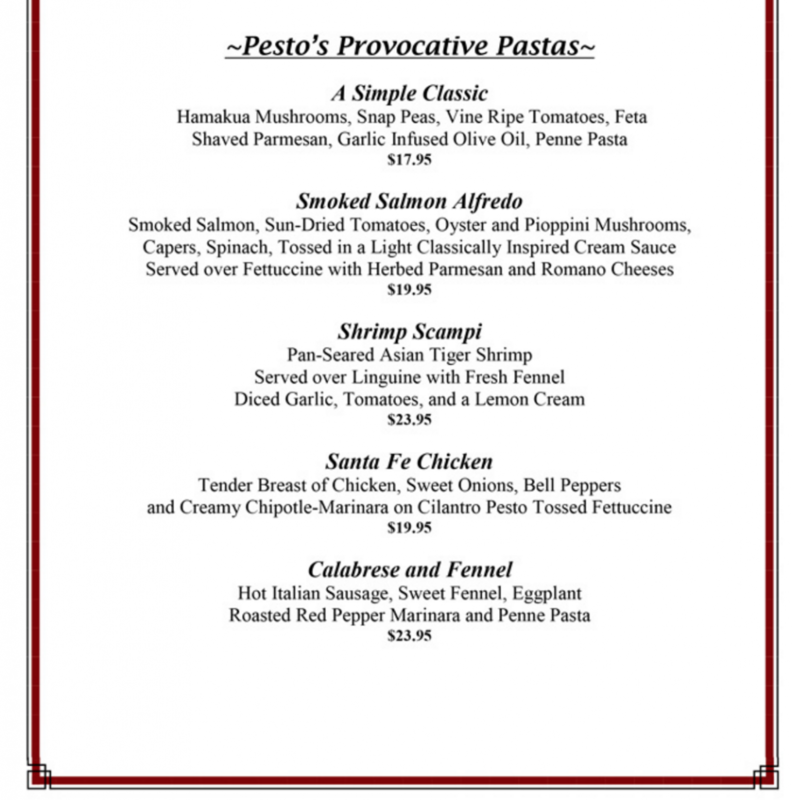 For pasta lovers, there is no competition on this side of the Island. 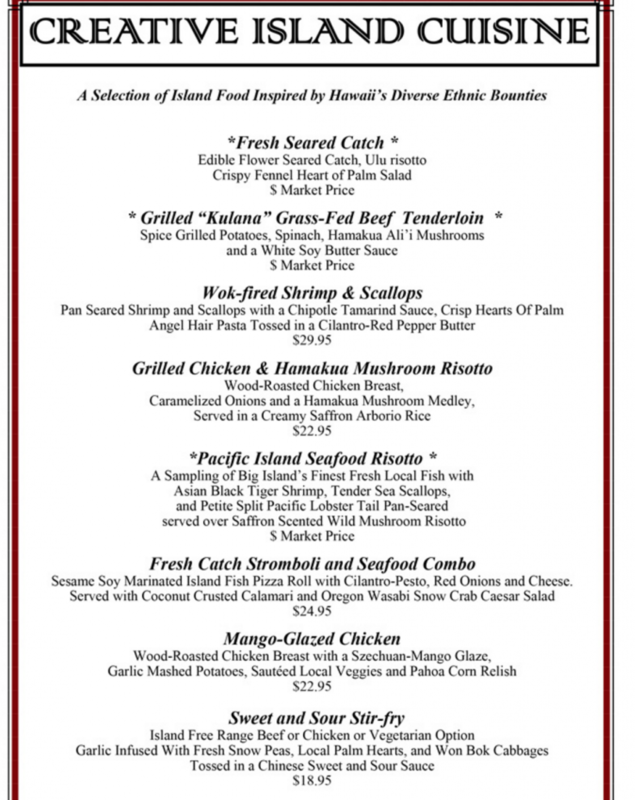 The menu also offers a variety of fish and classic meat dishes with a Hawaiian flair. 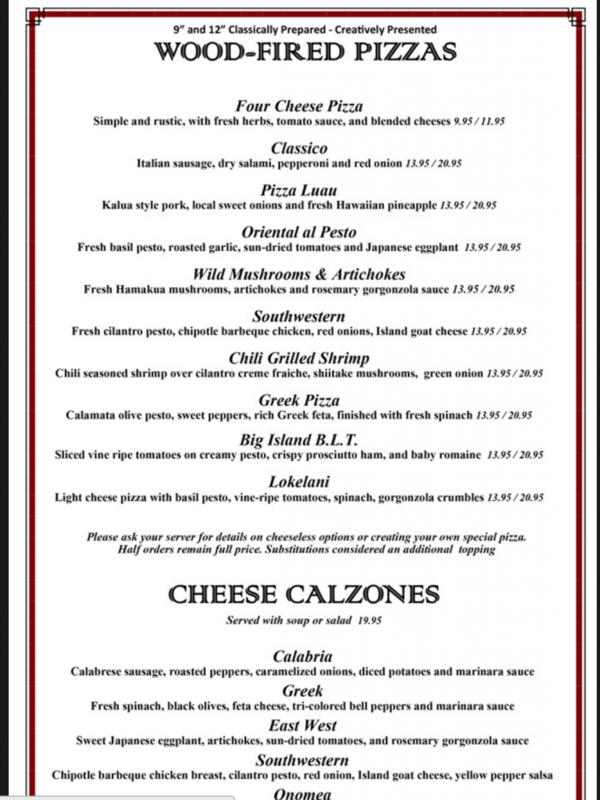 We have shown a few pages of the menu below. You won’t get off cheap here, but if you want to experience a beautiful restaurant without breaking the bank, one could split a pizza. Get here early to first walk around downtown. 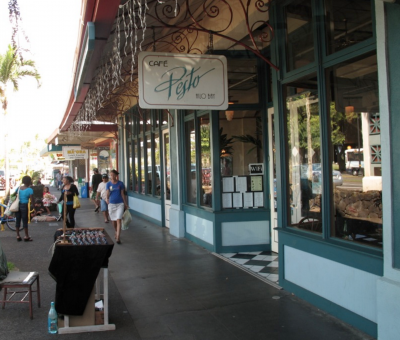 See my article and map on downtown Hilo. It is fairly easy to park and you can get an overview of downtown Hilo by foot in 30 minutes.